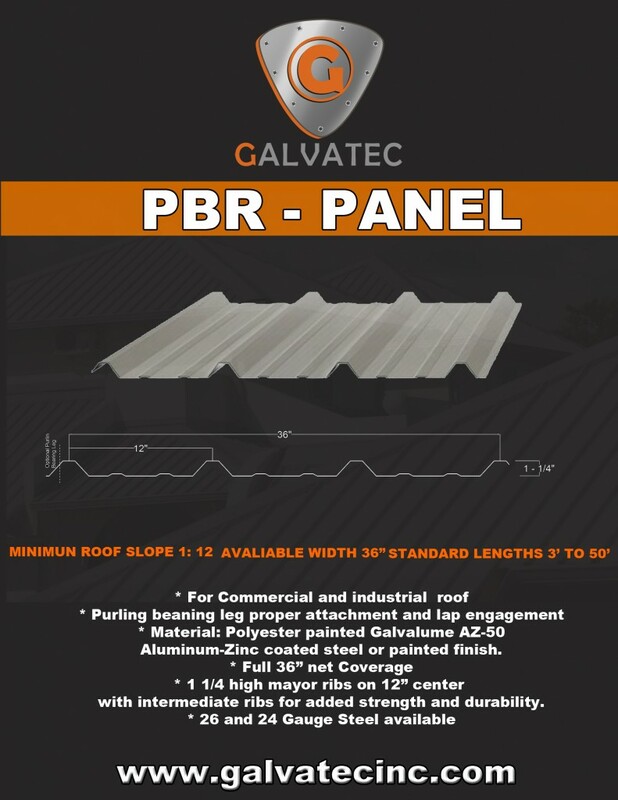 The PBR – Panel stands for Purlin Bearing Rib Panel. This panel is far superior to the traditional R – Panel installed in most wall and roof applications. During the installation the panels support the installer’s weight and they are so resistant they won’t crimp or buckle. This Panel’s advantage is that it has an extra lip on the edge providing superior overlap between panels and sealing out the elements.